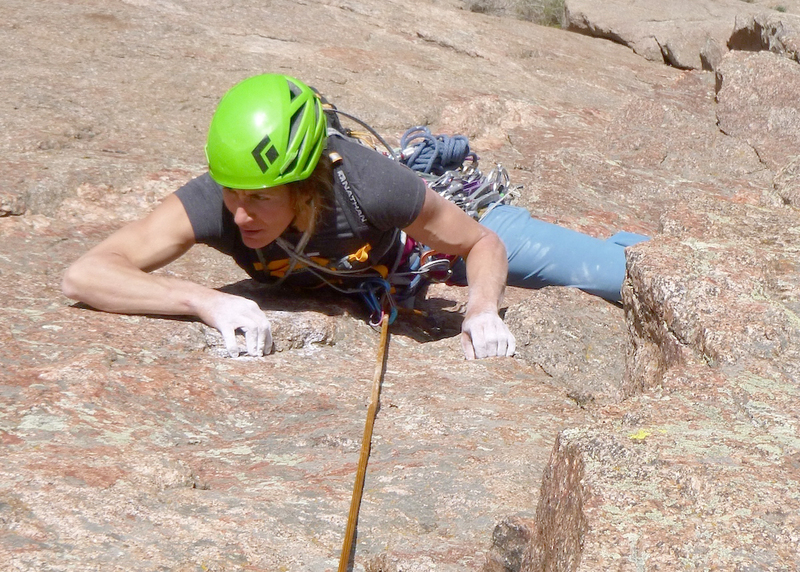 On Memorial Day, May 28, Madaleine Sorkin and Mary Harlan will descend more than 2,000 feet into the Black Canyon of the Gunnison with the goal of completing three big routes in 24 hours. They intend to climb Astrodog (V 5.11+, 14 pitches), Scenic Cruise (V 5.10+, 10 pitches) and the Russian Arete (IV 5.9+, ca. 1,800'), which will total about 5,700 feet of climbing. They are likely to encounter poison ivy, loose rock and mandatory runouts—as well as hot, sweaty conditions that make it a challenge to carry enough water and stay hydrated, which is why they plan on climbing in morning, evening and through the middle of the night. It's all for an effort to raise money for the Climbing Grief Fund, an effort they're calling "24 Hours into the Black." The linkup was originally announced for May 24, but Sorkin has been sick recently, said Harlan, who has been caching gear and supplies in the meantime. The two plan to begin their big day with Astrodog early in the morning, May 28. 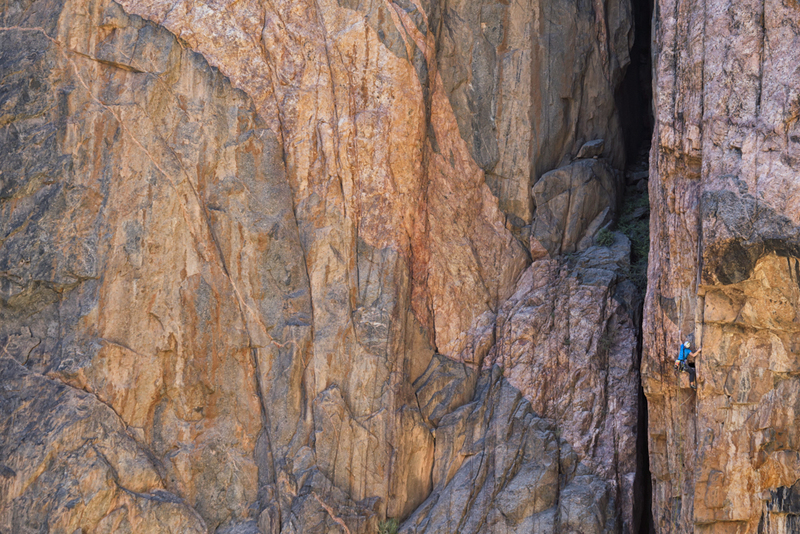 To help them maximize their time in the shade, some friends will pre-rig the 11 rappels on South Chasm View Wall, which Harlan and Sorkin will use twice, for approaching and descending the route back to the river. They'll then use a Tyrolean traverse to cross to the north side of the Gunnison River, and they'll climb the Scenic Cruise in the evening. Finally, under cover of darkness, they'll make their way back down into the canyon via the SOB Gully and climb the Russian Arete, which neither of them has climbed before at the time of this writing. They hope to do a reconnaissance mission before Monday so that they can have more confidence on the notoriously loose route at night, Harlan said. They will mostly simulclimb all three routes. "I'm honored to be part of the team and help Madaleine do this, since this has really been her idea," Harlan said. Sorkin said there is "a fair bit of unpleasantness" encountered in the Black Canyon as well as some classic, hard climbing. "I just think of it as this place that can hold anything really easily," she said, adding that when a person peers into the canyon it can feel like "this sort of chasm in terms of depression," similar to the "bottomless" feeling of grief. The Black can serve as a metaphor in another aspect: the only way out is up. Because the only access is from the rim, once climbers descend into the shadowy depths, their only escape from any route is to climb out, one way or another. In the summer of 2017, Sorkin was in the Wind River Range in Wyoming when a climber she didn't know fell over 600 feet to his death. His partner witnessed the entire accident, and Sorkin accompanied the distraught survivor on her walk out. Watching the man's bereaved partner struggle with all she'd just seen, Sorkin knew that the climbing community needed to better "hold space for grief," loss, trauma and depression. She approached Phil Powers, the CEO of the American Alpine Club, about creating a fund to help individuals who experience accidents or losses in climbing. The Club was already considering possibilities for such a program, and after Hayden Kennedy and Inge Perkins passed away in October 2017, she and Powers began working more specifically on implementing the project. Vickie Hormuth, the AAC's director of strategic partnerships, described how "passionately" Sorkin has been working on the Climbing Grief Fund, which Hormuth said is "a long time coming." "We've thought about this for years, as we deal with grieving families and loved ones," Hormuth said. The Fund is anticipated to launch in early autumn 2018. According to the AAC's Climbing Grief Fund page, it will offer a range of resources including "a grief resource webpage, individual counseling grants post-trauma, or loss and group counseling sessions at AAC Craggin' Classic events," which take place all over the country every year. In addition, Hormuth said the AAC is compiling a network of "professionals that work in grief and trauma counseling nationwide" with a goal of listing resources for "every single state, from grief centers to licensed therapists." The Climbing Grief Fund will also utilize this database when it awards grants to individuals seeking help. Hormuth emphasized how anyone who struggles with trauma or feels affected by loss could utilize the Fund's resources. After the 2017 death of Ueli Steck, Hormuth said, she heard from several AAC members who'd met with Steck after his 2016 talks hosted by the AAC in 10 cities around the country about how they were affected by his death. "It's not up to us to judge people's grief. It's one of the barriers to people seeking help," Hormuth said. "The truth of the matter is, we're all affected, no matter how far removed you are from the accident." For Sorkin, the effort behind the fund is indicative of the direction in which the climbing community is moving as a whole. She foresees more space for climbers to share, listen and support one another by "deeply participating" in the process of grief, both online and in-person. She said the experience of climbing itself can be helpful in that it holds a space for all kinds of emotional experience, such as how you can feel "supported and nourished by your environment" while "crying your heart out" on a belay ledge. Through supporting and participating in the Fund's efforts, climbers can take the intimacy inherent in the act of climbing—as Sorkin calls it, "your personal love affair with the rock"—and enact that intimacy by intentionally creating an empathetic and compassionate community. The AAC asks that you donate to the Climbing Grief Fund and encourage sponsorships from outdoor companies—such as Outdoor Research, which is matching the first $5,000 of donations to the Fund between now and June 15—by visiting and sharing the fundraising page on Chuffed.org. If you are a grief or trauma counselor and would like to be part of the network created by the Grief Fund, please email Vickie Hormuth at the AAC (vhormuth@americanalpineclub.org). If you have a personal story about grief or loss that you would like to share with the community, contact Madaleine Sorkin (madaleines@gmail.com), who is collecting these stories with plans to archive them online through the AAC's forthcoming grief resource webpage.